DAGON is the first Lovecraft story I ever read. It’s also one of his earlier ones, is public domain, deals with things dear to my squidly heart… and is just oozing in mood and fear… so I figured I’d turn the visuals it gives me in to a deluxe graphic novella. I finally get to handle some of the unspeakable horrors of Lovecraft, especially because it’s the 125th anniversary of his birth. All the prose will be there, adapted into a comic, where I get to control the pacing and I’m going to go full tilt into the nightmare dreams the story’s narrator has. I can’t wait. Die Umsetzung soll einmal mehr mit Unterstützung der Crowd erfolgen. 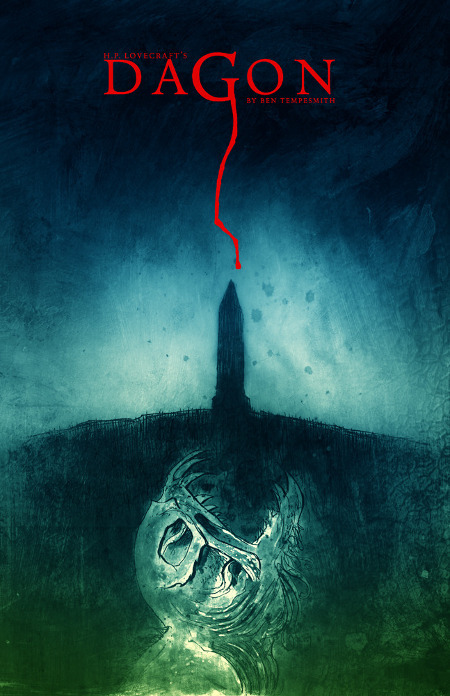 Bereits 2012 und 2013 hatte Templesmith erfolgreich Projekte über die Kickstarter-Plattform finanziert.